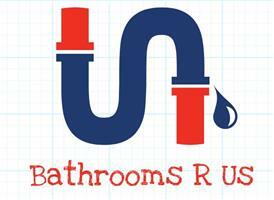 Bathrooms R Us - Bathrooms, Plumber based in Laleham Estate, Middlesex. Hello, I'm Derek, I am a sole trader and very proud of my company "Bathrooms R Us". First and foremost I hold City & Guilds qualifications in Domestic Heating & Plumbing. I also have certification on Installation & Maintenance of unvented hot water cylinders. Our own website can be found here Bathrooms R Us ! I have been installing Bathrooms for 30 years. In that time I have had the opportunity to under take refurbishment of plumbing, bathrooms and tiling on a large scale. However, today my business is run on a 1 to 1 basis, ensuring that every customer receives my full attention, so that work is carried out as quickly and cleanly and as stress free as possible. I pride myself in high quality workmanship, with all work finished to a high professional standard. There is no job too small. All of my workmanship is guaranteed. I am proud to say that I have, to date, put 3 apprentices through college. I have lived and operated from the same address, I have also had the same telephone number for the past 30 years, I am well known and have a sound reputation in the Staines area. I have worked with the majority of products on the market today, and offer free advice and estimates, so just give me a call, I look forward to speaking to you. Don't forget to check out our own website for more feedback and pictures of previous work - click here> Bathroom R Us !